My wife and I recently returned from a trip to visit the Canadian Rockies. While I edit photos and write up some Travel Tales, I thought I’d share a few early photos. 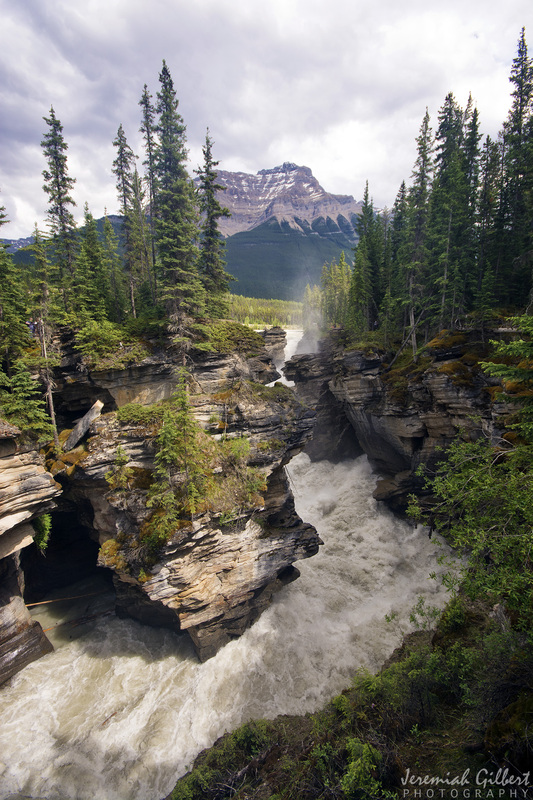 Athabasca Falls, in Jasper National Park, is not the highest or the widest waterfall in the Canadian Rockies but it is the most powerful.